5. Points from the public. 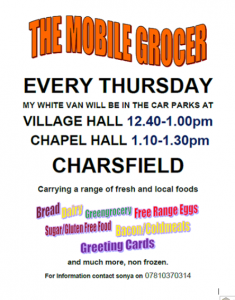 A chance for the public to raise matters of interest relevant to Charsfield Village – Highways, Roadworks and trees.